In the 1880's, one of the finest hardware companies was Reading Hardware. Windsor was their most popular pattern, and they produced Victorian hardware for throughout the home in that design. 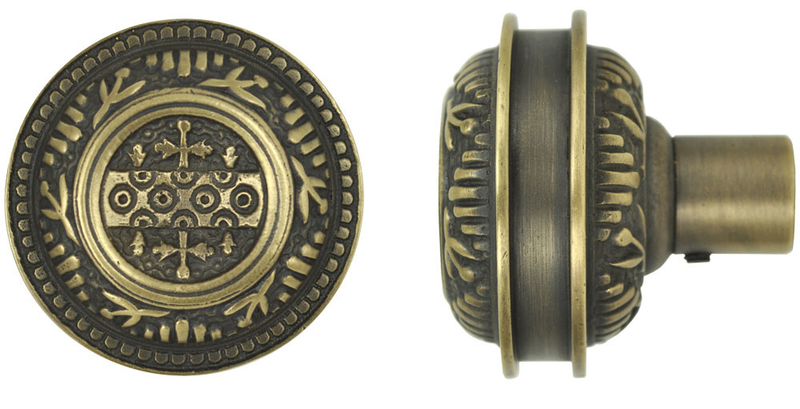 Windsor pattern knobs are lost wax cast of solid brass, then antique finished & lacquered. The difference in this knob from the other Windsor knobs is that even the backside of the knob is fully detailed. If you have a glass door, or just can't get enough Victoriana, this is a great choice. Now available in our matte black Oil Rubbed Bronze Finish.